Living in a youth obsessed culture makes it difficult not to be influenced by all the subliminal and some not so subliminal messages that bombard our surroundings. I have been told many times that I don’t look my age and my ego always swells a little when I hear this. I think next time someone says I look younger I will say, “Oh, I wish I looked older.” Then there will be awkward silence………..yes just like this. On second thought, my strict proper Asian upbringing won’t permit me to be ungracious, so I will just have to say, “Good genes”. Kale and I are celebrating the 6-month anniversary of our blog so we wanted to go to a restaurant that represented who we are. 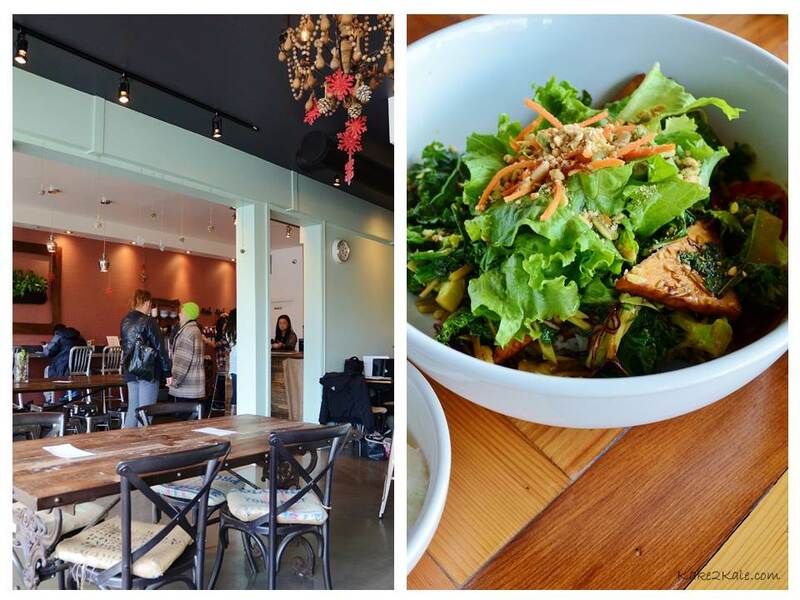 Kale and I are Asian and consider ourselves to be modern and have good taste, so I thought Chau (in Vancouver) would be the perfect place to go to. Having been there before, I knew Kale would like it. I had just returned from sunny, though sub-zero, Ottawa and woke up to a gloomy dreary rain-whipped day in Vancouver, aiyah! But the blue sky poked through the angry clouds on our way to Chau and we felt the heavens smiling down upon with us. 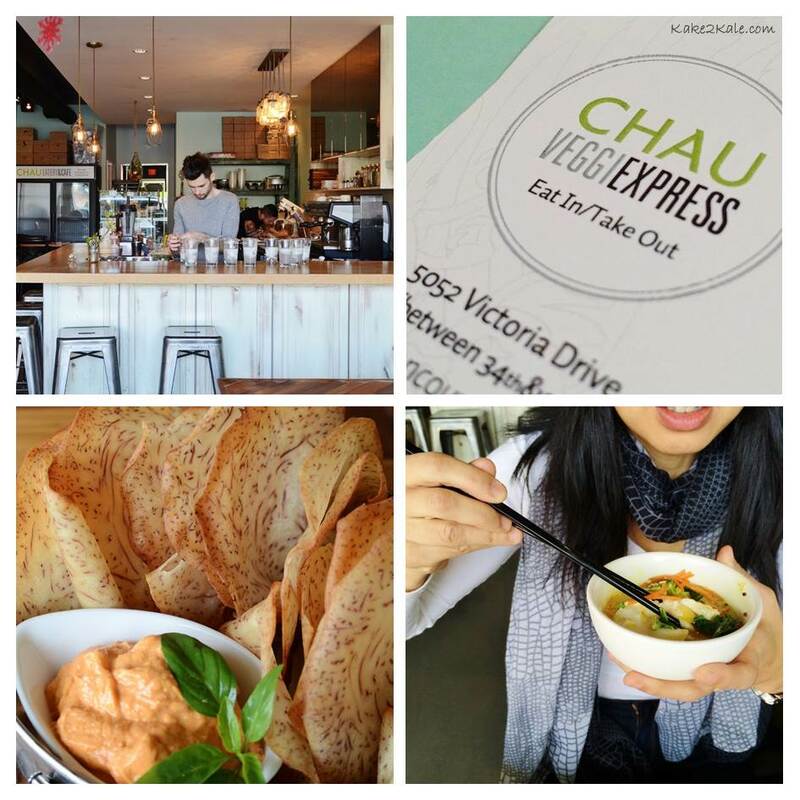 Chau is a hip and contemporary, vegetarian Vietnamese restaurant that serves fresh, flavourful and satisfying dishes. Vegan and gluten free options are also available. We started off with taro chips served with a fragrant tofu dip. Then we had my favourite dish, the Golden Temple (top picture below). 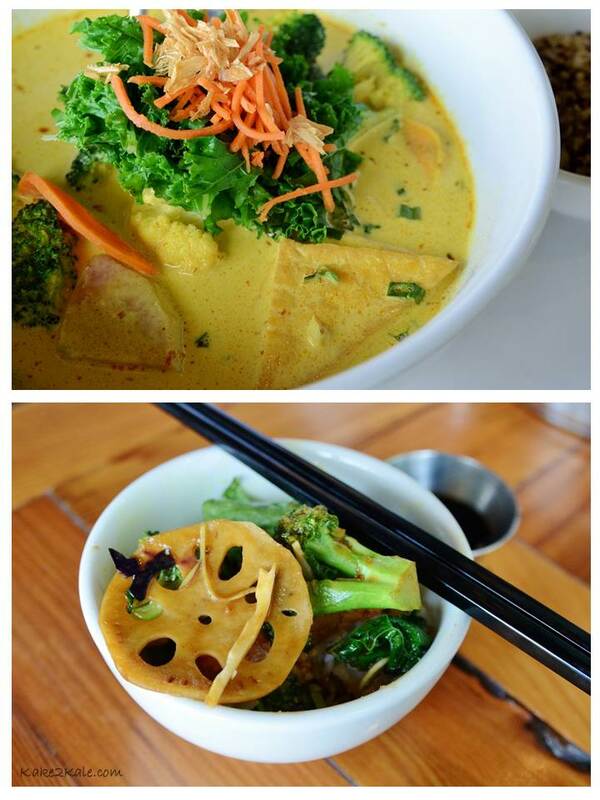 It is a light turmeric curry broth with tofu, broccoli, yam, lotus root, taro, kale, and herbs. I enjoy it best with quinoa and a side of free range eggs. We also ordered the Moonlit Midnight Swim (right-hand image, below superfoods list), which is a wild rice blend with tofu, kale, mushrooms, lotus root, a spiced peanut mushroom sauce, and topped with roasted peanuts and seeds. 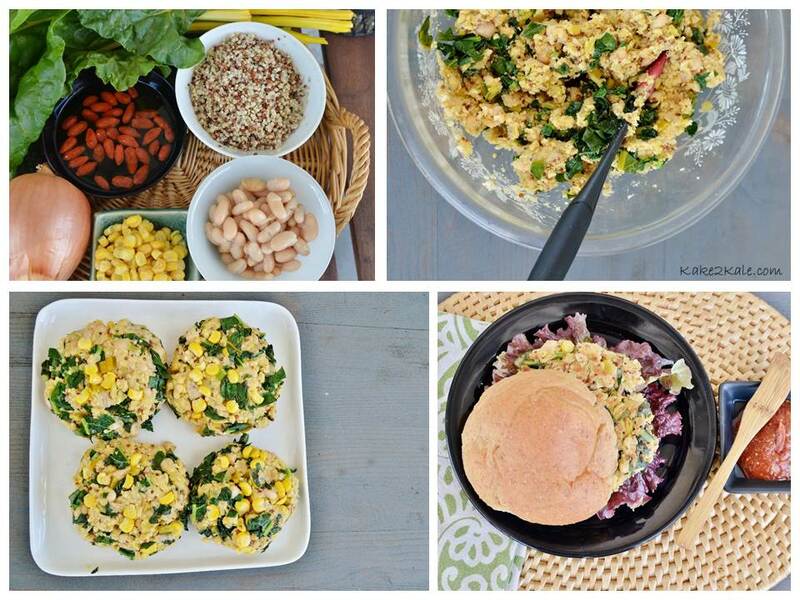 These dishes are filled to the brim with superfoods – kale, yam, broccoli, herbs, egg, quinoa, and turmeric broth. Kale: Has over 45 different flavonoids which have both antioxidant and anti-inflammatory properties, as well as loads of calcium. Quinoa: Contains quercetin which is a natural anti-histamine (helps with allergies), and quinoa contains all 9 essential amino acids, making it a complete protein. Turmeric: Anti-inflammatory and has anti-cancer properties. Taro: It has a low glycemic level, which means, it won’t spike your blood sugar, high in fiber, high in B vitamins and minerals. 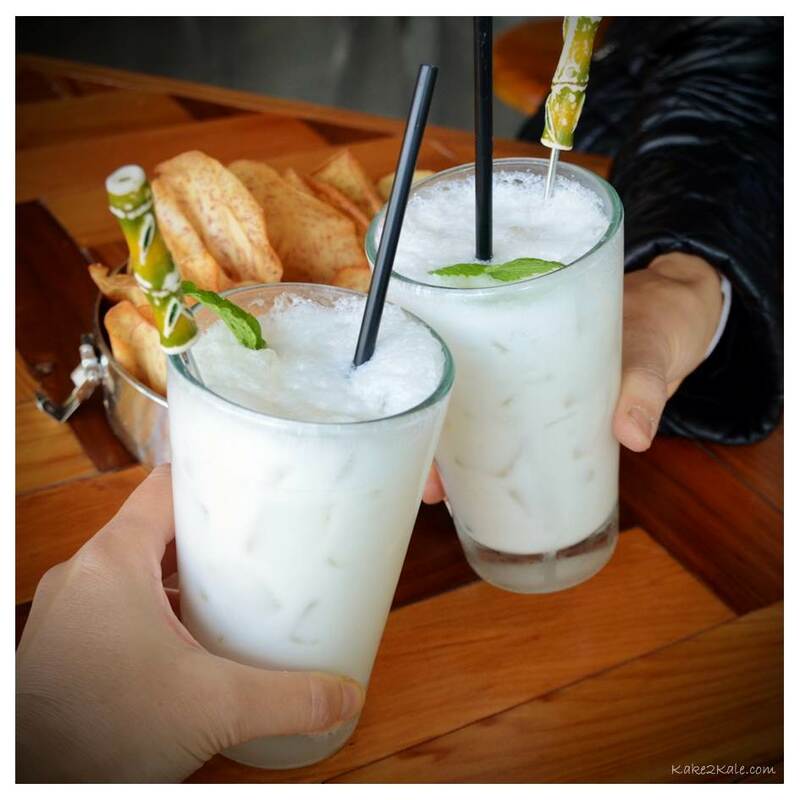 We toasted our achievement with the Coconut Shake, a creamy coconutty, refreshing counterpoint to the savoury food. The meal felt like we’d been whisked away to a tropical island, which was perfect since yesterday I was in Ottawa with my face frozen numb. Check out Chau at chowatchau.ca, particularly their menu. As I reflect upon the last six months since starting our blog, my first thought is how my friendship with Kale is being enriched, it is going better than I could’ve expected. We seem to have the perfect partnership. First, while I enjoy writing, Kale prefers taking photographs (I’ve tried, but I am definitely not talented with a camera). Second, it’s fun to share my healthful, tasty recipes and use ingredients that are foreign in my kitchen. Thirdly, I have a greater appreciation for photography and Kathy’s great “eye” for getting the right angle. Lastly, I am intimidated by social media, but Kale embraces technology. I look forward to another six months of more superfoods adventures! By design, the past year was meant to be a time of change, transition and discovery. I had no idea that I would be involved in a blog, let alone working on it with my sister-in-law; but our collaboration has turned out to be one of the best experiences of 2014! I love that our skills and interests are complementary, allowing our creative process to flow naturally. We are also having fun with it, together, and I couldn’t imagine a better partnership. And, even though we’ve been friends since the age of eight, we’re still learning new things about each other. I continue to be impressed with Kake’s nutritional knowledge, culinary and writing abilities. 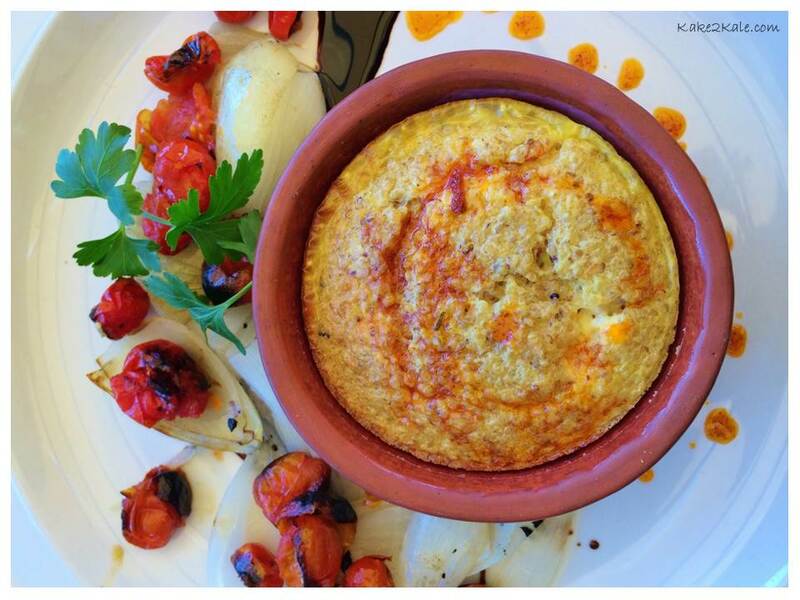 Just as important, Kake2kale has allowed me to do what I love – photography, food and travel! I believe we are staying true to our mantra – to share our adventures searching for tasty and healthy superfoods, through our recipes, travels, photography, and stories. We’re excited about the months and years ahead for the blog, particularly with new ideas and more interviews with people making a difference in wellness and superfoods. We thank you for enjoying and following Kake2kale! What does quinoa, salt and llamas have in common? After Cachi, it was time to move off Ruta 40 and make our way further north in Argentina, towards the border of Chile and Bolivia . The anticipation of a new destination was trumped by the joy of driving on paved roads. Our car hummed along the highway towards Salta and we were finally moving faster than 40 km/hour. Woo hoo! The scenery continued to impress us as we crossed the massive Los Cardones National Park (home of giant cacti) and peaked at the Piedra del Molino Pass (3347 m, pictured below), offering incredible views of the mountains, canyons and valleys below. As we descended steeply into the Quebrada de Escoipe and Cuesta del Obispo, the lovely paved road turned to a narrow dusty track that clung to the cliff side. In several spots, the road’s edge collapsed from erosion. We descended 2200 m in a 2-hour white-knuckle kinda drive, but we managed to find comfort in the dramatic landscape and in knowing that we we left early to miss all the tour buses crawling up the same road. 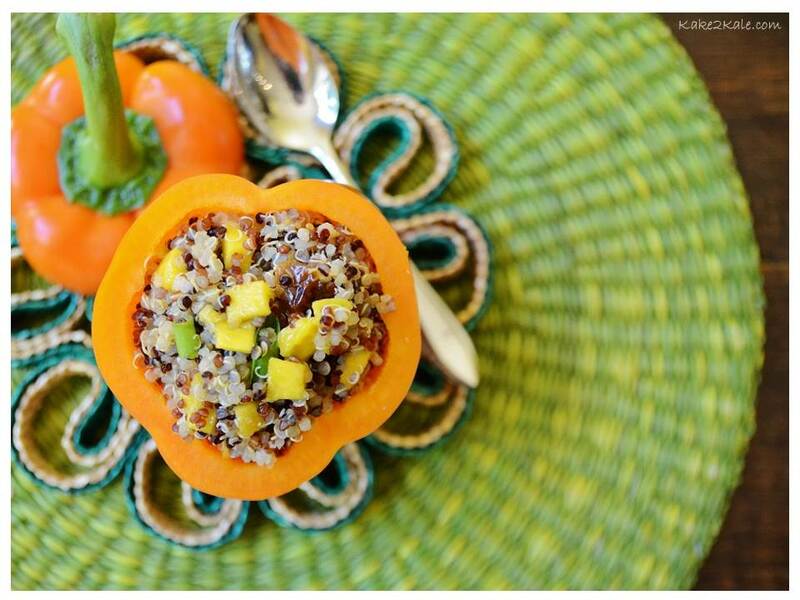 Another staple ingredient in Argentinian cooking is quinoa. It’s a grain-like seed that has its origins in the Andean regions between Chile, Bolivia, Ecuador, Peru and Argentina. The Incas referred to it as the ‘mother grain’, while the Spanish named it Quinoa, derived from the Quechua word for kinwa. It is a powerhouse superfood! Incredibly nutritious, quinoa contains all 9 essential amino acids making it a complete protein, which is perfect for vegetarians. It is high in fiber (higher than most grains), antioxidants, and minerals, while being gluten free and low on the glycemic index. It also contains Kaempferol and Quercetin, which may have anti-inflammatory, anti-viral, anti-cancer and anti-depressant effects, according to various studies. I started eating quinoa back in the early nineties, when it was lesser-known. These days, quinoa is often in the spotlight. In fact, the Food and Agriculture Organization of the United Nations declared 2013 as the ‘international year of quinoa’! At home, I mainly prepare quinoa as a salad with sauteed veggies; but on occasion, I have added it to make a flourless chocolate cake. 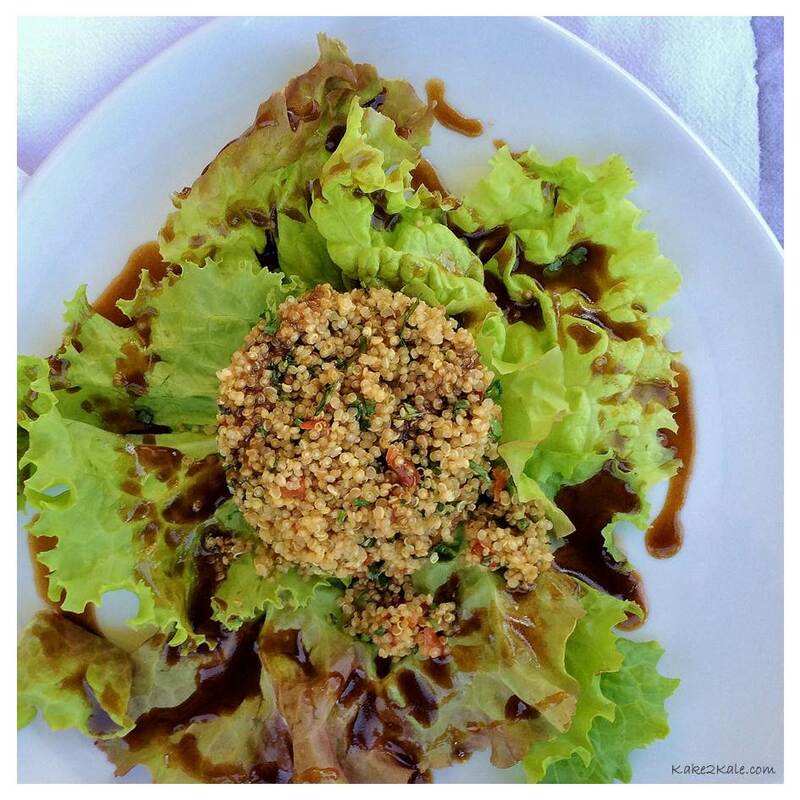 While in northern Argentina, it was interesting to see how the locals prepared this superfood. My two more memorable dishes was a baked quinoa pie (pictured above), and a quinoa tower salad (pictured below). Both delicious and appealing! Our destination was Tilcara (2465m), a small village about 175 km north of Salta in the Jujuy province. 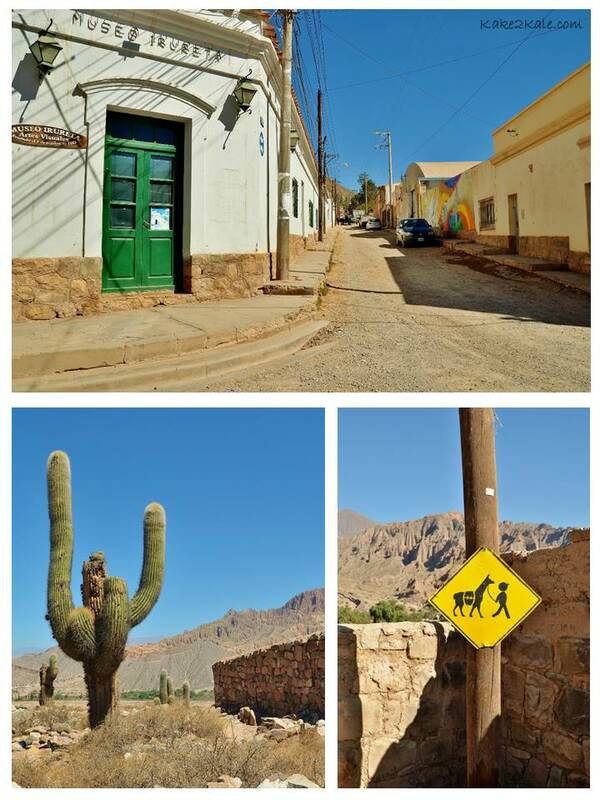 Located in the Quebrada de Humahuaca Gorge (Unesco World Heritage Site), Tilcara is quaint and rustic – perfect as a base for exploring yet another fascinating part of northwestern Argentina. There are three must-do highlights in Tilcara! The first is La Garganta de Diablo (Devil’s Throat) hike which starts from the village. The 7 km trail takes hikers up along a striking red-rock gorge (pictured below), surrounded by panoramic views. At the end, there is a steep trail down to the bottom, followed by a stroll along a river to view hidden waterfalls. Then, the next top experience is the archaeological site of Purcara de Tilcara. Declared a National Monument, it is a well preserved pre-Inca fortification located on a hillside overlooking the village. After hiking around the Diablo and the ruins, we were famished. This leads to the third highlight, which was dining at the El Neuvo Progresso restaurant. We felt it was the best choice in town and certainly had the best llama dishes. Llamas (pictured below) are camel-like animals found in the Andes Mountains and used for their wool, meat, skin and transporting goods. I seldom find llama meat at home, and while it’s not a superfood, I wanted to try it. It was served to me in three styles – carpaccio, grilled and stewed, and all were really tasty. The meat is fairly lean and the flavour is comparable to bison. Beyond Tilcara, we ventured higher into the Andes to seek out one of the largest salt desserts in South America – Salinas Grandes – covering about 8000 square kms and located at 3400 m above sea level. To give you a comparison, this salt flat is about the same height as the Mount Etna volcano in Sicily and nearly as high as Mount Fuji in Japan. The drive to and from the salt dessert was another big road adventure. A short distance from Tilcara is the town of Parmamarca, which is famous for its ‘hill of seven colours’ and artisan market. From this town, a paved road winds up the side of the valley in a ribbon of switchbacks to a mountain pass at 4170 m. Beyond the pass is the Salinas Grandes. All the while, we’re surrounded by huge stretches of wild and barren land. Salinas Grandes was once a lake. Now dried up, the salt concentrations are being mined for its sodium, potassium, and lithium brime. Nothing appeared to live or grow on the salt. The sheer size and scale of the dessert is what makes it captivating. The patterns and texture of the salt was interesting; but most of all, the brightness of the salt was dazzling. One could easily kill many hours wandering around, enjoying a picnic, and taking goofy pictures…as we did. So, what does quinoa, salt and llamas have in common? 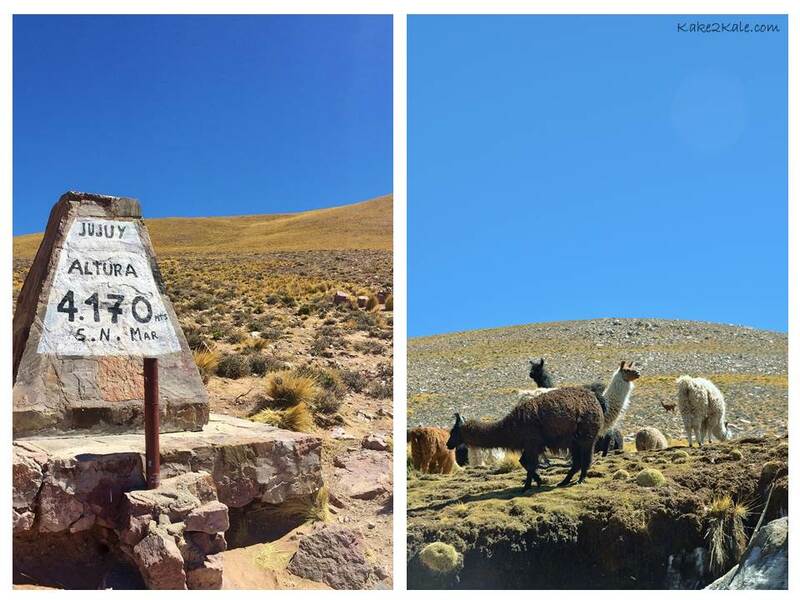 They simply all co-exist in this wild Andes environment. When we set out to explore this corner of Argentina, we were hoping to find remote and unspoiled places with unique local flavours. Well, we got what we wanted, and more! Going to Macdonald’s as a child was really not a huge draw, although my parents somehow always chose to take my brother and I to Macdonald’s whenever they had bad news to tell us. The burgers were unmemorable, but the shakes, oh boy!! Just the mention of Shamrock shakes today will put a stupid smile on my face. Burgers were considered food that only people who camped, hunted, listened to rock and roll, drove trucks and had mullet hairstyles ate. Not that we felt above those people, we were just into other things, like not eating with our hands, unless it was a barbecue pork bun at dim sum and then you had no choice. To this day even eating crab I only allow one hand to handle the crab while the other hand uses chopsticks. One night I was looking through my cupboard trying to decide what to make for dinner and saw cans of beans. I keep buying them because I know they are good for me, but they just sit there. So I took a can down, opened the fridge and once I saw the leftover cooked kale inspiration hit me for these burgers. Mulling over what condiment to go with the burger it occurred to me that goji berries blended with ketchup might work well. By the way here is a little tidbit about the provenance of the word “ketchup”. We were having ketchup on something and I was saying the word in my mind. I suddenly made the connection with the Cantonese words for ketchup. I looked it up in the dictionary, and indeed, its origins are Chinese, because “ke” means tomato and “chup” is sauce. The goji berry ketchup’s sweet and tart flavour is the perfect foil to the burger. You can add your own twist by adding chilli powder, or sriracha. Cannellini beans: These are also called navy beans because they were a staple for the U.S. Navy in the early 1900’s. Packed full of protein, fiber and also vitamin B1, as well as lots of minerals. Quinoa: Contains antixoidants, as well as all 9 essential amino acids making it a complete protein, perfect for vegetarians. Kale: High amount of calcium and vitamin K. Kale is in the Brassica oleracea family which is known to have a protective effect against cancer, because they contain Indole-3-carbinal (IC3) , which promotes a healthy balance of good estrogen to toxic cancer causing form of estrogen, it also has an anti-tumour effect. Onion: High amount of quercetin (which is an anti-histamine, helps your body combat allergies). Onions are also antibacterial, antiseptic, detox properties, lowers cholesterol, protects the heart. Goji Berries: These are also known as Wolfberries. They contain the highest concentration of protein of any fruit, high amounts of carotenoids, vitamin C, and 21 trace minerals. It is anti-inflammatory, anti-fungal and anti-bacterial. Place the quinoa in 1 cup of water, cover and bring to a boil. Keep uncovered and simmer for about 10 minutes, or until all the water is absorbed and the quinoa grains have opened up. While quinoa is cooking, heat 2 teaspoons of olive oil over medium heat add the onion, cook for 5 minutes, then add the kale and continue cooking for another 5-7 minutes until kale is wilted. Then in a large bowl combine the cooled quinoa, kale and then rest of the ingredients mix well. 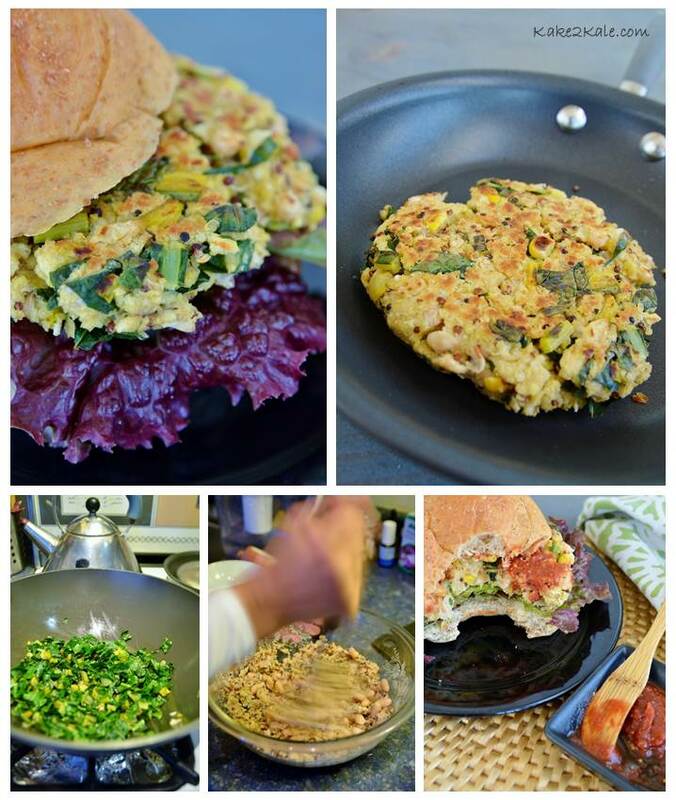 Form into 8 patties and using a tablespoon of oil at a time cook the patties in a frying pan. Do not drain the berries, but add goji berries along with water to ketchup. (There will be nutrients from the goji berries in the water that it has been rehydrating in.) Puree with a hand blender until smooth. That is it!